Membership Benefits WE ARE NOT INSURANCE! Your membership is activated 30 days from enrollment unless you paid the immediate to be reimbursed within 24hr’s. We will reimburse 50% of your Auto Deductible up to $125 (Vehicle must be in your name and 30 days start from the loss date and not the repair date), 50% off of Traffic Violations, Toll Way Violations, Cell Phone Deductible, Medical, Dental & Vision Co-Pay meaning doctor/office visits only, other co-payments beyond the actual visit does not qualify, (NO MRI, No Physical Therapy, No Chiropractor, No Cardiologist, No Surgeries, absolutely nothing outside of the actual first office visit). Your membership has to be up to date and current the day of the incident. Keep in mind that for some of your services to be reimbursed you have to have some type of insurance. You will be called for a membership consultation to explain your memberships value and to set up your Gas & Energy account only if your state is deregulated. 7 days from your consultation you will be scheduled for another call to set up your GOLD & Savings account. You have 30 days from the incident to file your claim for you to receive your full reimbursement percentage. A claim will not be honored after 30 days. Any claim over $200 will be broken up into 3 installments. Any claim over $400 will be broken up into 6 installments. At this membership level, you will receive 1 bitcoin which will be available to withdraw every 18 months. Your CAP for this membership is $250 and $500 after you have been a member with UDS for 3yrs. Once you reach your CAP you will be reimbursed at 25% up to $25 for all services. Unless the upto amount is lesser on particular services then you would get the max. Your CAP resets every 18 months. Your membership is activated 30 days from enrollment unless you paid the immediate to be reimbursed within 24hr’s. We will reimburse 55% of your Auto Deductible up to $275 (Vehicle must be in your name and 30 days start from the loss date and not the repair date), 55% off Traffic Violations & 25% off court fees up to $20 (After 30 days for court fee's claim will be denied), 55% off Toll Way Violations, Cell Phone & Tablet Deductible, 25% off Cell Phone Accessories up to $25 (Cellphone must be from your current provider, not an authorized dealer), 55% off Medical, Dental & Vision Co-Pay meaning doctor/office visits only other co-payments beyond the actual visit does not qualify (NO MRI, No Physical Therapy, No Chiropractor, No Cardiologist, No Surgeries, absolutely nothing outside of the actual first office visit). Pet Co-Pay, 10% Reimbursement on Pet Deductibles, Parking Violations, Home/Renters Deductible up to $137.50, remember it has to be home damage or vandalism. Anything else filed on your home insurance will not be accepted. Your membership has to be up to date and current the day of the incident. Keep in mind that for some of your services to be reimbursed you have to have some type of insurance. You will be called for a membership consultation to explain your memberships value and to set up your Gas & Energy account only if your state is deregulated. 7 days from your consultation you will be scheduled for another call to set up your GOLD & Savings account. You have 30 days from the incident to file your claim for you to receive your full reimbursement percentage. After 30 days we will reimburse only 25% up to 60 days. Any claim over $200 will be broken up into 3 installments. Any claim over $400 will be broken up into 6 installments. At this membership level, you will receive 1 gram of Gold and 2 bitcoins which will be available to withdraw every 18 months. 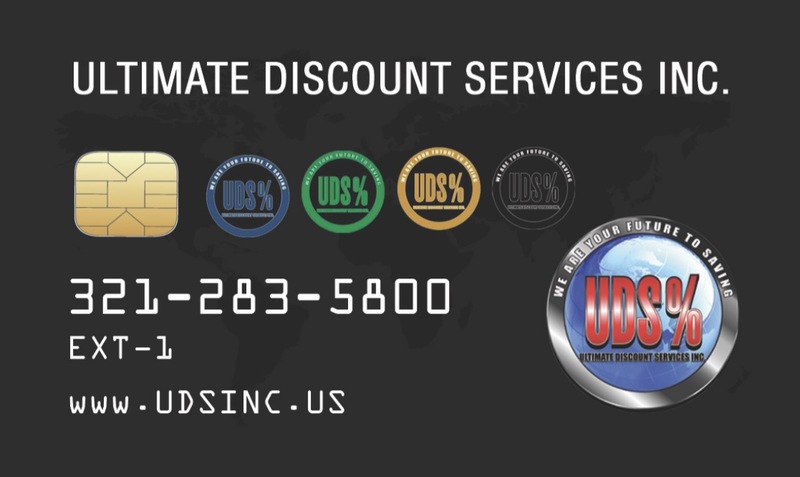 Your CAP for this membership is $500 and $1,000 after you have been a member with UDS for 3yrs. Once you reach your CAP you will be reimbursed at 25% up to $50 for all services. Unless the upto amount is lesser on particular services then you would get the max. Your CAP resets every 18 months. Your membership is activated 30 days from enrollment unless you paid the immediate to be reimbursed within 24hr’s. We will reimburse 60% of your Auto Deductible up to $450 (Vehicle must be in your name and 30 days start from the loss date and not the repair date), Traffic Violations & 50% off court fees up to $40, (After 30 days for court fee's claim will be reimbursed at 25% up 60 days) 60% off of Toll Way Violations, Cell Phone & Tablet Deductible, 50% off Cell Phone Accessories up to $50 (Cellphone must be from your current provider not a authorized dealer), 60% off of Medical, Dental & Vision Co-Pay meaning doctor/office visits only other co-payments beyond the actual visit does not qualify ( NO MRI, No Physical Therapy, No Chiropractor, No Cardiologist, No Surgeries, absolutely nothing outside of the actual first office visit). 25% of your Prescription Co-Pay up to $25 (After 30 days for prescription co-pay claim will be denied), 60% off of Pet Co-Pay, 15% Reimbursement on Pet Deductibles, Parking Violations, Home/Renters Deductible up to $300, remember it has to be home damage or vandalism. Anything else filed on your home insurance will not be accepted. Your membership has to be up to date and current the day of the incident. 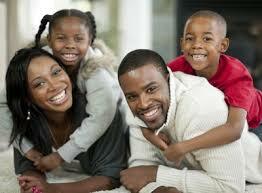 Keep in mind that for some of your services to be reimbursed you have to have some type of insurance. You will be called for a membership consultation to explain your memberships value and to set up your Gas & Energy account only if your state is deregulated. 7 days from your consultation you will be scheduled for another call to set up your GOLD & Savings account. (As a side note for your member's comp plan if an injury occurs you have to go to either the Urgent Care or Emergency room within 24hrs of the incident. Also here are the things that are considered an injury: ACL Injuries, Ankle Injury, Concussions, Dislocated Shoulder, Golfer's Elbow, Groin Pull, Hamstring Injuries, Head Injury, Muscle Strain, Posterior Cruciate Ligament Injury, Rotator Cuff Tear, Running Injuries, Shin Splints, Skier's Thumb, Tailbone Injuries, Tendon Injuries, Tennis Elbow, Turf Toe, Workout Injuries, Achilles Tendon Injury. Things that are not considered an injuries: Abrasion, Laceration, Puncture, Cuts, Preexisting Open Wounds, Bruises, Gashes, Scratch, Graze, Contusion, Lesion, Avulsion, Repetitive Motion Injuries, Soreness After Exercise, Tommy John Surgery) After 120 days of being enrolled as a member, you will be contacted to activate your credit repair portal. You have 30 days from the incident to file your claim for you to receive your full reimbursement percentage. After 30 days we will reimburse only 25% up to 90 days. Any claim over $200 will be broken up into 3 installments. Any claim over $400 will be broken up into 6 installments. At this membership level, you will receive 2 grams of Gold and 3 bitcoins which will be available to withdraw every 18 months. Your CAP for this membership is $750 and $1,500 after you have been a member with UDS for 3yrs. Once you reach your CAP you will be reimbursed at 25% up to $75 for all services. Unless the upto amount is lesser on particular services then you would get the max. Your CAP resets every 18 months. Your membership is activated 30 days from enrollment unless you paid the immediate to be reimbursed within 24hr’s. We will reimburse 65% of your Auto Deductible up to $650 (Vehicle must be in your name and 30 days start from the loss date and not the repair date), 65% off of Traffic Violations & 55% off court fees up to $60, (After 30 days for court fee's claim will be reimbursed at 25% up 90 days) 65% off of Toll Way Violations, Cell Phone & Tablet Deductible, Medical, Dental & Vision Co-Pay meaning doctor/office visits only other co-payments beyond the actual visit does not qualify. 25% reimbursement on non-insured office visits MRI, Physical Therapy, Chiropractor, Cardiologist up to $25. ( No Surgeries) 55% off Cell Phone Accessories up to $100 (Cellphone must be from your current provider, not an authorized dealer), 50% of your Prescription Co-Pay up to $50, 65% off of Pet Co-Pay, 20% Reimbursement on Pet Deductibles, Parking Violations, Home/Renters Deductible up to $487.50, remember it has to be home damage or vandalism. Anything else filed on your home insurance will not be accepted. Your membership has to be up to date and current the day of the incident. Keep in mind that for some of your services to be reimbursed you have to have some type of insurance. You will be called for a membership consultation to explain your memberships value and to set up your Gas & Energy account only if your state is deregulated. 7 days from your consultation you will be scheduled for another call to set up your GOLD & Savings account. (As a side note for your member's comp plan if an injury occurs you have to go to either the Urgent Care or Emergency room within 24hrs of the incident. Also here are the things that are considered an injury: ACL Injuries, Ankle Injury, Concussions, Dislocated Shoulder, Golfer's Elbow, Groin Pull, Hamstring Injuries, Head Injury, Muscle Strain, Posterior Cruciate Ligament Injury, Rotator Cuff Tear, Running Injuries, Shin Splints, Skier's Thumb, Tailbone Injuries, Tendon Injuries, Tennis Elbow, Turf Toe, Workout Injuries, Achilles Tendon Injury. Things that are not considered an injuries: Abrasion, Laceration, Puncture, Cuts, Preexisting Open Wounds, Bruises, Gashes, Scratch, Graze, Contusion, Lesion, Avulsion, Repetitive Motion Injuries, Soreness After Exercise, Tommy John Surgery). After 120 days from being enrolled as a member, you will be contacted to activate your credit repair portal. You have 30 days from the i to file your claim for you to receive your full reimbursement percentage. After 30 days we will reimburse only 25% up to 120 days. Any claim over $200 will be broken up into 3 installments. Any claim over $400 will be broken up into 6 installments. At this membership level, you will receive 3 grams of Gold and 4 bitcoins which will be available to withdraw every 18 months. Your CAP for this membership is $1,000 and $2,0000 after you have been a member with UDS for 3yrs. Once you reach your CAP you will be reimbursed at 25% up to $50 for all services. Unless the upto amount is lesser on particular services then you would get the max. Your CAP resets every 18 months. When your membership has reached our cancellation department your profile is sent to our retention department to try to keep you as a member because we know that hard times can take place. This is available to our customer once a year for each level that's provided for you. Depending on which membership you have we will make the adjustment in your membership and you will pay that price for the next 3 months. After 3 months your membership will go back to its original price. Please note that when your membership is in hardship status you will only be reimbursed at 25% up to $25 for all services. Please keep in mind that you are only allowed the hardship program one time per year. In your Terms and conditions ( https://form.jotform.com/71534835884164 ) It clearly explains that if your membership falls into any one of these categories your savings account will apply to your balance owed. If your membership goes into Archived, Lapsed or Canceled status your whole savings, Gold, & Bitcoin account will be applied to your balance. Your reimbursements will be deactivated and denied and once your account comes out of archived your reimbursements will be deactivated 30 days from being reactivated. If your accounts are not equal to your membership then your account will be deleted within 24hrs. Please understand that we give you enough of a notice to change or extend your payment date and you always have a grace period after your due date. Depending on the history of your account you are allowed 1 activation waive per year and they do not roll over.